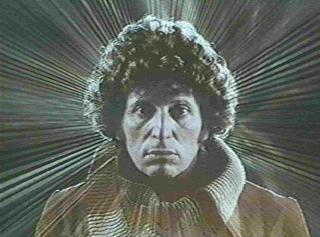 Tom Baker enhanced the alien nature of the Doctor, with the Doctor becoming more aloof, and with less human motives and behavior. 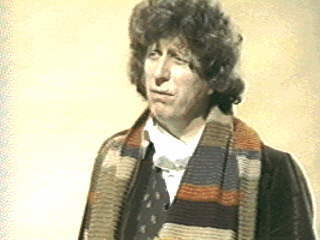 With his strange,staring eyes, toothy smile, and incredibly long scarf, he often had the appearance of insanity in human terms. 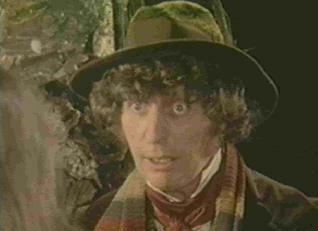 After regenerating, the fourth Doctor eagerly returned to his "cosmic wanderer" role, cutting off his ties to UNIT and twentieth-century Earth very early on in his seven seasons. 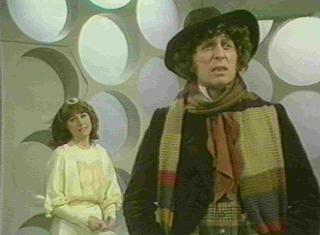 Four of his companions (Romana (in two regenerations), Adric and Nyssa) were aliens, and another was a robot dog named K-9. 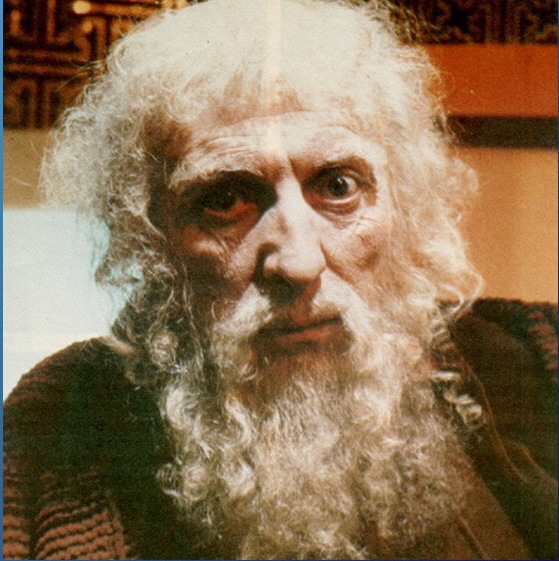 He for decades remained the best known Doctor worldwide, and was generally considered the most popular of all of the Doctors, although he's been edged out of this position more recently in many polls by 10th Doctor David Tennant. 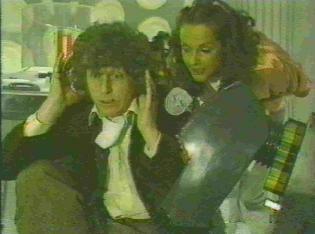 Tom Baker's first of forty complete stories was Robot, broadcast between 1974 and 1975, and his last was Logopolis, broadcast in 1981. 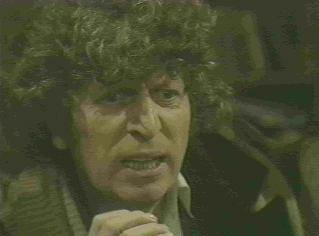 While unlike his predecessors, none of the fourth or any subsequent Doctors' stories have ever been partially or fully destroyed, one Tom Baker story was never completed due to BBC strikes. 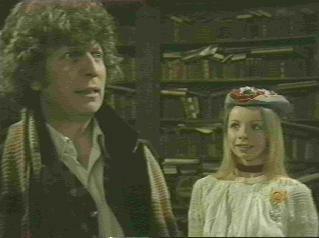 This story was Shada, written by Douglas Adams, which would have been completed and broadcast in 1980 to crown the fourth Doctor's penultimate season, season seventeen. 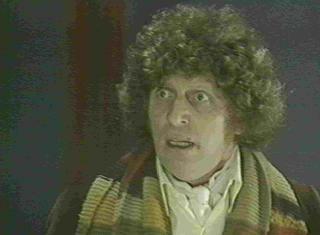 In the late 1990s, a video release of the story was made using all of the existing footage, strung together by narration by Tom Baker in character as the Doctor. 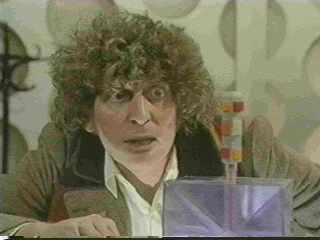 A few clips from Shada were used some time before this for the twentieth anniversary episode The Five Doctors. 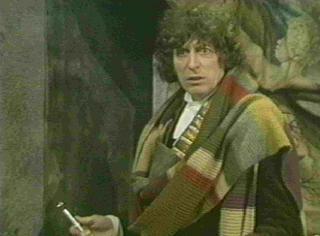 This was done as a way to include the character and explain his absence, since Tom Baker reportedly felt it was too soon for him to return to the show. A wax figure from Madam Tussaud's took his place in publicity stills. 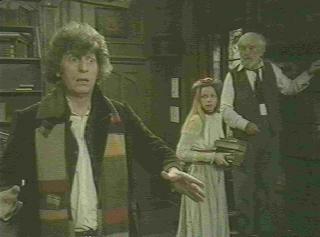 Baker returned to the role in 1993 for the best-left-forgotten multi-Doctor story Dimensions in Time, which was broadcast as part of the yearly Children in Need night on the BBC. 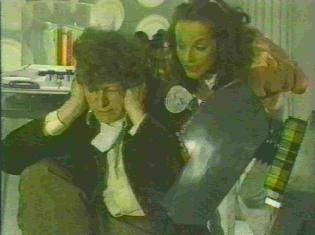 He also appeared as the Doctor in a series of TV ads in New Zealand in the mid '90s, but has unfortunately never accepted offers from Big Finish to record any of their Doctor audio adventures featuring previous Doctors. 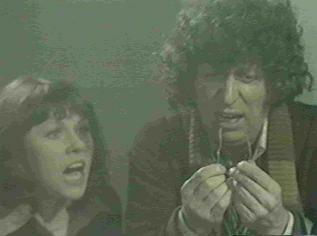 The first of many times the fourth Doctor asks "Would you like a jelly baby?" 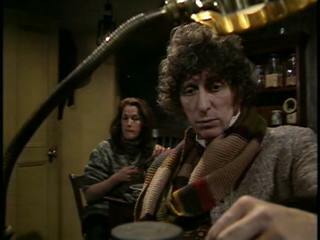 The Doctor once again asks "Would you like a jelly baby?" 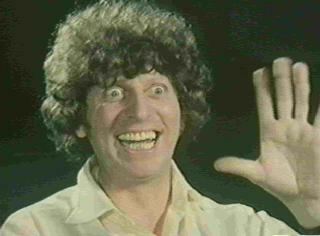 "Harry Sullivan is an imbecile!!" "Your ancestors had a talent for self-destruction that borders on genius. . . "
"Well, I did say more or less. . . and this does look rather less than more"
"The secret of survival of survival is always to expect..."
"If you don't stop burning my scarf, you're going to have to kill me!" "We could panic, of course, but where would that get us?" 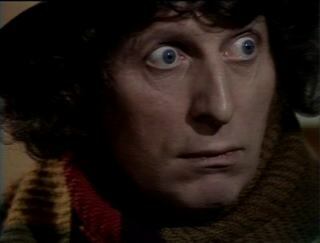 Doctor Who and TARDIS are copyright BBC. 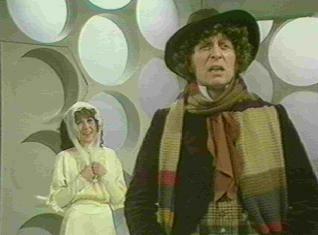 The Daleks are copyright The BBC and Terry Nation. All other properties, images, etc. are copyright their respective copyright holders. I intend no copyright infringement. 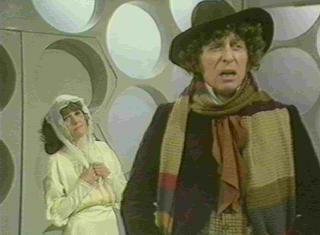 Please show your support for Doctor Who by paying for it.